ARE YOU READY for SERIOUS BRANDING? A professionally designed brand differentiates your business from those of your competitors, helping you stand out from the crowd. Our collaborative approach will help us identify your values, brand personality and style preferences that will define the key elements of your branding. B®IC BRANDING IN COLLABORATION is a unique, collaborative approach that allows our clients to be actively involved and fully engaged in the process of the creation of their brand, from its conception to the final implementation. Delivered by branding expert and facilitator Aldo Garza, the B®IC approach aims to meet and exceed clients’ expectations on every step of the way! 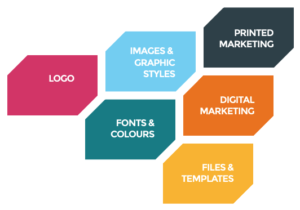 Allow our branding expert help you find out the right package to suit your needs. Book your initial B®IC CONSULTATION today and discover why our clients love collaborating with us!